Kristen Albert will be graduating from Mount Vernon Nazarene University in May 2018, with a bachelor’s degree in Intercultural Studies and a concentration in TESOL and Spanish. 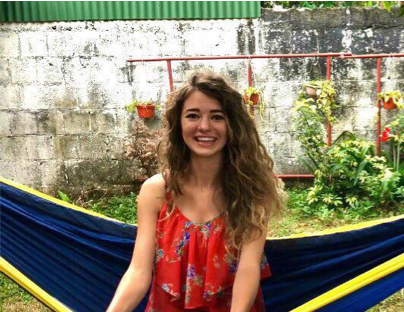 During her years in undergrad, Kristen has explored her passion for cross-cultural reconciliation; which have led her to various cross-cultural work in the Dominican Republic, London, Ecuador, Kenya, Nicaragua, and Costa Rica. Throughout this time, she developed experience in effective mentoring, servant leadership, conflict resolution, program coordination, language acquisition and instruction, and community empowerment. She also has experience working with community centers in Indianapolis aiding local communities with projects concerning cyclical poverty and refugee resettlement. Currently, she works for the MVNU campus organization M2540 as a vision coordinator, creating campaigns to fundraise for both local and international initiatives as well as connect students with the opportunities to learn and get involved. Following graduation, Kristen will be pursuing a master’s degree in macro-social work to further her career in human rights advocacy and program development with an international focus. Kristen is also a talented artist who realizes the transformative power art holds for communities. She enjoys using her multi-cultural experience to build cohesion with her art. She works to utilize creative design to give face and voice to abstract concepts. She enjoys combining her creative talents with her passion for community empowerment.